We accept use of filters, lenses with "character and post processing from Ansel Adams scraping and scratching negatives or drawing on them to "content aware clean up in Photoshop and other competing software. 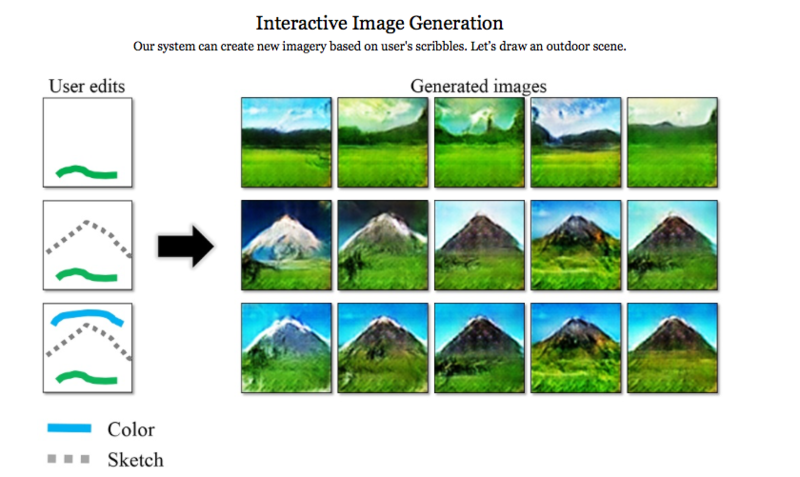 So now we face an even more remarkable tool about to come top Adobe. The new software will allow simply sketching over an image and have the software steal the real texture of the underlying reference picture and build a realistic new object. This work is a collaboration between Adobe and a UC Berekely researcher, or rather Adobe out hunting for new tricks of the trade. Read the DPPreview.com introduction here and the actual source article here. Certainly, for those making commercial magazine layouts, it will be a breeze to repurpose any original art to fit the page layout, color scheme and esthetics. Given a workers artistic talent and training, they should work more efficiently and be able to tailor the imagery better to the text of an article. What about the photographer who does not prepare everything to be as planned from the outset. Many star photographers rely on extraordinarily talented professional retouchers. We accept the works of Annie Leibowitz and even Ansel Adams to be genuine, despite the extensive post processing labor invested in each and every famous picture! The only photographers I know today who does not alter one speck on their photographs are those using direct positive originals. So Richard Learoyd, works in the U.K. with his precious unreplaceable store of remaining Cibachrome and in Munich, Germany, a lady works in B&W again with positive paper. Few of us compose and frame and then deliver the image with zero adjustments or spotting. So now we have a new tool. what effect will it have on those of us who lack the patience to light properly in the first place or choose out subjects carefully enough. Or does the final result matter, and nothing else? Is it that art is what we offer or must there be some vestige of "truth" in order to reflect well on our world? Is this simply the extreme license that digital photography has taken for itself, building on the "cheating skills" of the greats who went before us. Have we left real photography behind when we accept such new technologies to overcome our lack of skill or objects for our actual shoot? I may try and respond to your question if I can figure out how to parse it. But Siri's failings as a copy editor notwithstanding, this topic you raise is of great interest, and great importance to our field of interest. However, I urge (as always) that we not seek to develop some discrete "bright line" by which we can judge what has been "artificially-generated" (just as for efforts to define what is "altered"). As we well know, no photograph (or sketch) is a replacement for, or duplicate of, the "reality". The futility of trying to calibrate "some vestige of truth" in a work of art can be noted when we look at a well-done, but sparse, caricature. We recognize these few clever strokes as a "representation" of, for example, Jay Leno, but how munch "truth" (whatever that is) is there in that work? Again, this is in no way intended to minimize the importance of the topic you introduce. I just want to apply a prophylactic against the kind of "streams" we have had in the past as "we" try to determine "what is art" or "what is fine art" or "what is a sharp pencil". This, Jerome is superb craft and genius! No Amazon Prime to deliver the pigments and paints. No camera to take a shot as a reference! I am in awe of our ancestors! No Amazon Prime to deliver the pigments and paints. The esthetics and skill are really superb and very "modern". I don't think we do much better after all this time. I can see that the tools will help me solve problems like "creating a head from a sewing machine". Doing it well has stumped me for years. I guess I could do it if I put enough discipline and time into it, but a program like this would allow realistic morphing to be done seamlessly. That would be very useful to me. Now a much more talented artist would simply draw it from the outset. But alas I have not invested the perseverance, practice and devotion that full time freehand artists routinely do. Still the ideas in my head need to be expressed, so such aids might allow me to express my inner ideas with less pain and clumsiness. Since I believe that art is, (to a considerable extent), an export into physical form of constructs inside one's own brain, that evoke emotive experience, (and might test boundaries of what we are used to), then a program which aids that is a welcome advance. But alas I have not invested the perseverance, practice and devotion that full time freehand artists routinely do. Don't press yourself too hard. Some work is needed, but the ability to put graphics on paper is, apparently, also an inborn ability. My older daughter could copy what was in front of her at the age of 6. 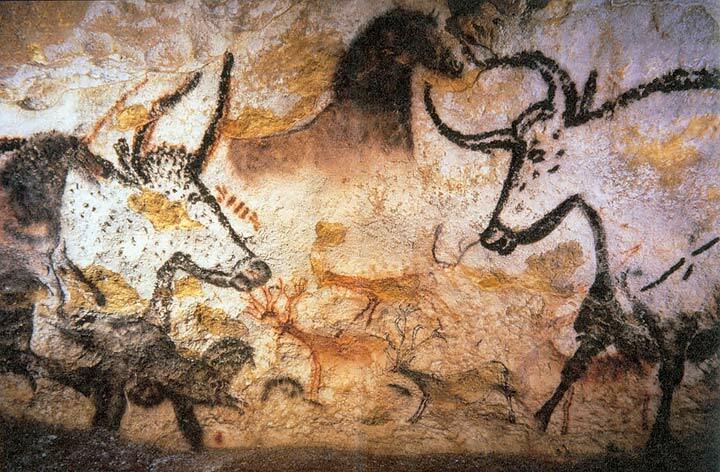 What I meant with this post of the Lascaux paintings is that images have been with us for a long time. The technique evolves and gives new abilities to different people, but the notion of "art" stays the same. You are surprised and somewhat shocked by a new tool. I can assure you that a decade after photography was invented, painters were outraged about that new tool as well. As photographers, we should know better than to be outraged by a new way of producing images, shouldn't we? I remember a couple of years ago when we had an artists' camp at my erstwhile organisation, where contemporary artists from various parts of India were painting while we watched, and also gave slide presentations of their other works. During one such presentation, a teenager in the audience asked the artist-presenter, "why don't you paint humans the way they are?" The artist seemed taken by surprise at first, but then he answered, "Sure we did, but that was before the invention of the photographic camera!" I think your argument can be carried over to all art forms. There used to be a job position called 'drafts-man'..